This week's charts, with data taken from April 8th, 2010, have Big Game Hunter 2010 and Deadly Premonition leading U.S. sales, while Hokuto Musou and Sekaiju no Meikyuu III lead chart results in Japan. North America: 1. Cabela's Big Game Hunter 2010 Gun Bundle (Activision), 2. Wii Fit Plus with Balance Board (Nintendo), 3. Just Dance (Ubisoft), 4. New Super Mario Bros. Wii (Nintendo), 5. Wii Sports Resort (Nintendo). Japan: 1. New Super Mario Bros. Wii (Nintendo), 2. Wii Fit Plus with Balance Board (Nintendo), 3. Wii Sports Resort (Nintendo), 4. Mario Kart Wii (Nintendo), 5. Wii Fit Plus (Nintendo). UK: 1. Just Dance (Ubisoft), 2. Wii Fit Plus with Balance Board (Nintendo), 3. Wii Fit Plus (Nintendo), 4. Mario & Sonic at the Olympic Winter Games (Sega), 5. New Super Mario Bros. Wii (Nintendo). An Amazon "Deal of the Day" price drop puts a gun peripheral-bundled version of Cabela's Big Game Hunter 2010 at the top of this week's Nintendo Wii sales chart in North America. Just Dance continues to lead UK sales, meanwhile, as New Super Mario Bros. Wii keeps the top spot in Japan. North America: 1. Deadly Premonition (Ignition), 2. Battlefield: Bad Company 2 (EA Games), 3. Call of Duty: Modern Warfare 2 (Activision), 4. Mass Effect 2 (EA Games), 5. Left 4 Dead 2 (EA Games). Japan: 1. Deathsmiles (Cave), 2. Call of Duty: Modern Warfare 2 (Square Enix), 3. Chaos;Head Noah (5pb), 4. Steins;Gate (5pb), 5. Chaos;Head Love Chu Chu! (5pb). UK: 1. Call of Duty: Modern Warfare 2 (Activision), 2. Battlefield: Bad Company 2 (EA Games), 3. Forza Motorsport 3 (Microsoft), 4. Just Cause 2 -- Limited Edition (Square Enix), 5. FIFA 10 (EA Sports). Ignition Entertainment's Deadly Premonition is this week's biggest-selling Xbox 360 game in North America, following a day-long price drop at Amazon. A budget-priced reissue of Cave's arcade-ported shooter Deathsmiles tops the charts in Japan, as Modern Warfare 2 and Battlefield: Bad Company once again head sales in the UK. North America: 1. God of War III (SCEA), 2. LittleBigPlanet: Game of the Year Edition (SCEA), 3. Assassin's Creed II (Ubisoft), 4. Final Fantasy XIII (Square Enix), 5. God of War Collection (SCEA). Japan: 1. Hokuto Musou (Koei), 2. Pro Yakyuu Spirits 2010 (Konami), 3. Ryu ga Gotoku 4: Densetsu o Tsugumono (Sega), 4. God of War III (SCEA), 5. Demon's Souls (SCEI). UK: 1. God of War III (SCEE), 2. FIFA 10 (EA Sports), 3. Heavy Rain (SCEE), 4. Call of Duty: Modern Warfare 2 (Activision), 5. Assassin's Creed II (Ubisoft). God of War III leads PlayStation 3 software sales in the United States for the third week running. A recently issued "Greatest Hits" version of LittleBigPlanet takes second place. Koei's Fist of the North Star-licensed brawler Hokuto Musou retakes the top chart spot in Japan, while God of War III moves up to take first place in Europe. North America: 1. World of Warcraft: Wrath of the Lich King (Blizzard), 2. Battlefield: Bad Company 2 (EA Games), 3. Left 4 Dead 2 (EA Games), 4. The Sims 3 (EA Games), 5. Mass Effect 2 (EA Games). Japan: 1. Battlefield: Bad Company 2 (EA Games), 2. Monster Hunter Frontier Online Season 7.0 Premium Package (Capcom), 3. The Sims 3: High End Loft Pack (EA Games), 4. Europa Universalis III (Cyber Front), 5. SimCity 4 Deluxe (EA Games). UK: 1. Battlefield: Bad Company 2 (EA Games), 2. The Sims 3 (EA Games), 3. Football Manager 2010 (Sega), 4. Dragon Age: Origins (EA Games), 5. Mass Effect 2 (EA Games). World of Warcraft: Wrath of the Lich King heads PC software sales in North America following a sale on all Blizzard products at Amazon last week. Battlefield: Bad Company 2 trails close behind at second place in domestic sales numbers, and leads as this week's biggest-selling title in Japan and the UK. North America: 1. Pokemon HeartGold Version (Nintendo), 2. Pokemon SoulSilver Version (Nintendo), 3. Mario Kart DS (Nintendo), 4. New Super Mario Bros. (Nintendo), 5. Zhu Zhu Pets (Activision). Japan: 1. Sekaiju no Meikyuu III: Seikai no Raihousha (Atlus), 2. Tomodachi Collection (Nintendo), 3. Love Plus (Konami), 4. Pokemon Ranger: Hikari no Kiseki (Nintendo), 5. New Super Mario Bros. (Nintendo). UK: 1. Pokemon SoulSilver Version (Nintendo), 2. Professor Layton and Pandora's Box (Nintendo), 3. New Super Mario Bros. (Nintendo), 4. Pokemon HeartGold Version (Nintendo), 5. Peppa Pig: The Game (Ubisoft). Pokemon SoulSilver and HeartGold remain consistently strong sellers in the United States, while SoulSilver emerges as the more popular of the pair in the UK. Atlus's Etrian Odyssey sequel Sekaiju no Meikyuu III: Seikai no Raihousha leads the charts in Japan for the second week in a row, as Konami's Love Plus moves up to third place as anticipation builds for an upcoming sequel. North America: 1. God of War: Chains of Olympus (SCEA), 2. Resistance: Retribution (SCEA), 3. Shin Megami Tensei: Persona (Atlus), 4. 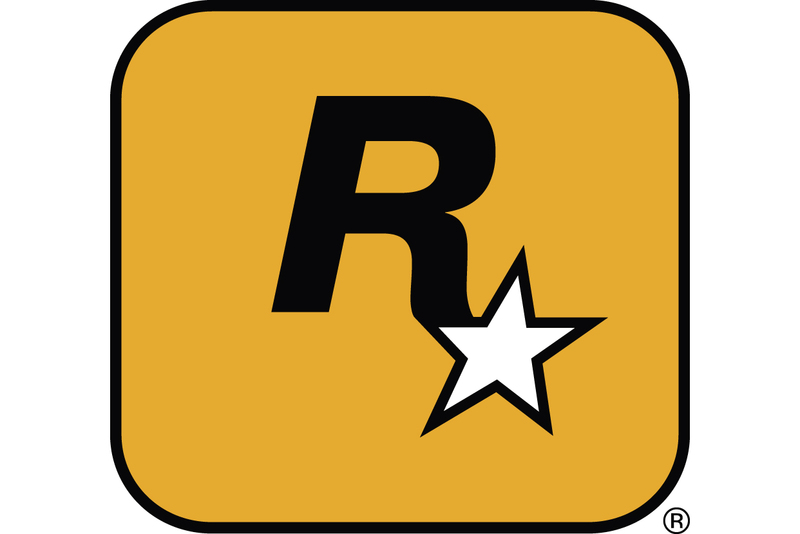 Grand Theft Auto: Liberty City Stories (Rockstar), 5. Dissidia Final Fantasy (Square Enix). Japan: 1. Hakuouki Portable (Idea Factory), 2. Pro Yakyuu Spirits 2010 (Konami), 3. Monster Hunter Portable 2nd G (Capcom), 4. Judie no Atelier: Guramnat no Renkinjutsu - Toraware no Morito Limited Edition (Gust), 5. Saki Portable (Alchemist). UK: 1. FIFA 10 (EA Sports), 2. LittleBigPlanet (SCEE), 3. Dissidia Final Fantasy (Square Enix), 4. Gran Turismo (SCEE), 5. Need for Speed Shift (EA Games). Tecmo's Dead or Alive Paradise drops out of the U.S. top five after a promising debut last week, as lower-priced titles like God of War: Chains of Olympus and Resistance: Retribution rise up to take its place. Idea Factory's visual novel Hakuouki Portable steals the lead from Pro Yakyuu Spirits 2010 in Japan, while FIFA 10 remains as popular as ever in Europe.